Friday already? Must be time to look over what I've enjoyed this week! 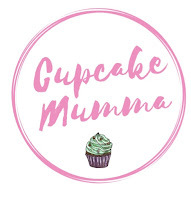 Do link up with the lovely But Why Mummy Why by clicking the badge at the bottom of this post! I've been reading and nearly finished the book I started last week The Dairy of a Hapless Househusband. It's okay to be honest, I've gotten into it and don't like to put it down but it'll never be anything to rave about. Although it can be quite funny. I've also been catching up on my Bloglovin feed when I can which is always nice. I may have watched The Big Benefits Row on channel 5 a few nights ago. I knew it would be utter tripe, I knew they wouldn't have a debate but still I tuned in. You'll never have a debate with 'those' ignorant women on any show anyway in my opinion. I also watched We're The Millers on DVD with the hubby. We found it really funny and I'm glad we chose it for our date night. My six year old singing Katy Perry's Roar and Firework, repeatedly, at full volume around tea time every night. Let me tell you something, I may love her to peices but that is something else. My ears! This week I've been so cold I've worn my pj bottoms under my jeans. Not only have I been snug I've also had a double layer from the rain! I had my Niece over on Wednesday so we put the tuff spot to good use, sat with Little A and did some art work. I also made some delicious basic fairy cakes with cherries on top. Yum. Next week I've got a Mums meet up to look forward to! I'm meeting Pippa from story of Mum as we live real close to each other. It'll be nice to meet before the mums retreat. I'm also giving blood next Friday which I'm excited about, it'll start my Project Kindness off pretty good! Wearing pyjama bottoms under jeans is something I would do! Hahaha, I have worn leggings under jeans before! I think its acceptable when its so cold!! We have a 5 year old that loves Katy Perry, she loves Roar and whenever it comes on she is belting out the words! Oh yes I wear leggings under jeans too! Sometimes I have to to keep warm! Glad I'm not the only one enduring 5 year old singing! I've worn leggings under jeans before, but not PJ bottoms. Could be worth a try! My 6 year old is obsessed with Roar too, so if it's not the 3 year old singing the soundtrack of Frozen it's the 6 year old belting out Roar!